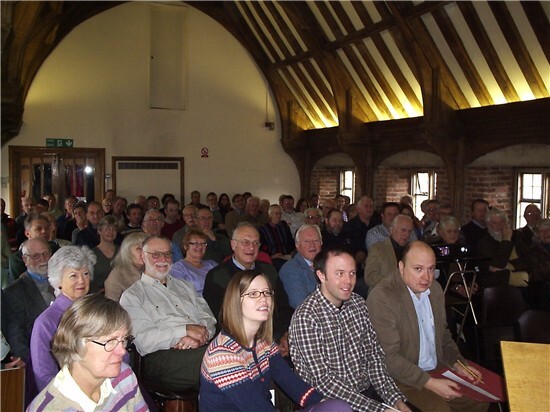 Last Saturday West Norfolk and King's Lynn Archaeological Society held a very successful conference on 'A Celebration of the Archaeology of West Norfolk'. Despite the treacherous driving conditions approximately 90 people attended the talks, filling the venue at Thoresby College. This was followed by a talk on the Archaeology of Improvement: West-Norfolk in the Post-Medieval Period by Dr Sarah Spooner and Dr Jon Gregory. Dr Gregory started off the session by talking about the improvement of agricultural areas in this period and Dr Spooner then spoke about the formation of parkland. Unfortunately we were unable to get a picture of Sarah and Jon during their talk, but here they are sitting in the middle of the front row. 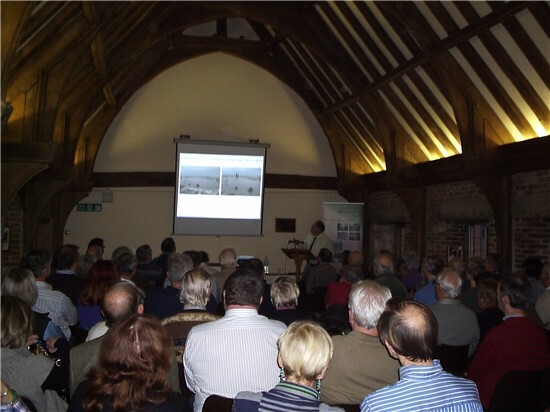 Dr Rob Liddiard then spoke on the topic of A Regional Landscape: Medieval High Status Settlement in West Norfolk which included analysis of the development of castles and the changing layout of villages in the medieval period. 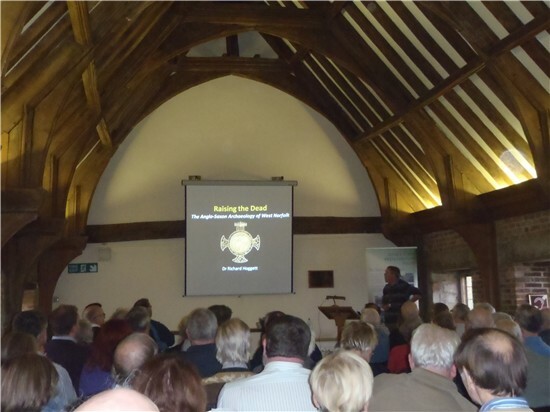 Dr Richard Hoggett then gave a talk called Raising the Dead: The Anglo-Saxon Archaeology of West Norfolk in which he discussed the nature of the evidence for Anglo-Saxon presence changing from mortuary remains to structural evidence. He also talked about the contribution field walking and metal detectors have made to the number of sites which have been discovered. 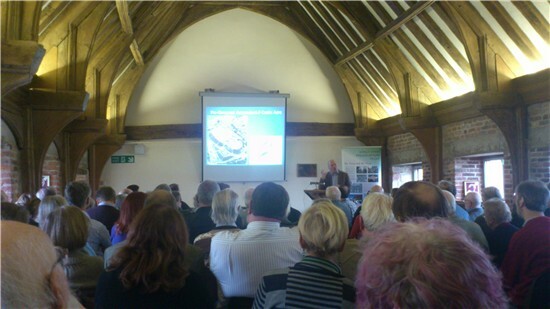 After a break for lunch Dr John Davies spoke about The Changing Landscape of Iron Age and Roman Norfolk. 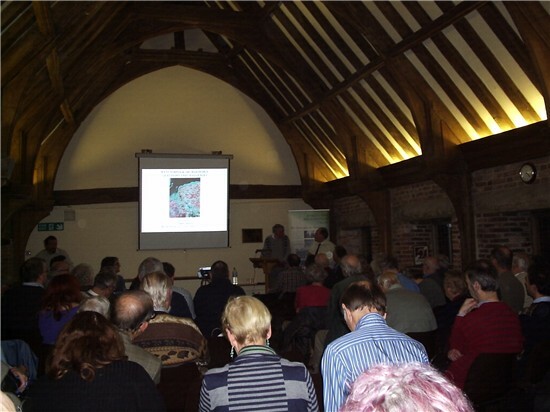 Dr Davies talked about the nature of hill forts in the Norfolk landscape, and how they divide the county, and discussed some of the artefacts that are curated at the Norwich Castle Museum. 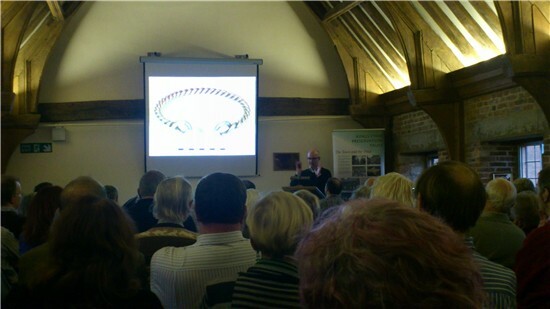 Dr Clive Bond then gave a talk on Earlier Prehistoric West Norfolk: from the fen-edge to the North Sea, he spoke about the connections between Norfolk and Europe during this period, the significance of sites such as sea henge, and how the working of flint was related to the landscape of West Norfolk, and to the funerary practices of the time. 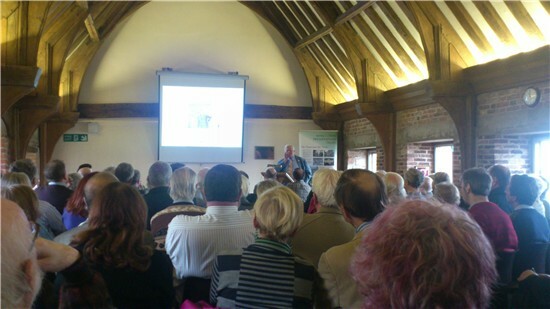 The day was finished off with a talk by John Smallwood, a founding member of the society, on West Norfolk Archaeology: Questions and Challenges, in which he talked about some of his experiences with the society and some of the issues that are faced by people who investigate the past.